Editor’s Note: The profile of the new honors program at UH-Downtown comes from Houston attorney Jane Mueller Fly, who also teaches at the campus. Ms. Fly is also the author of The National Merit Journey: What You Need to Know, Part One and The National Merit Journey Part Two: The Parent’s Role. The University of Houston–Downtown, located on the historic Buffalo Bayou in the heart of our nation’s fourth largest city, is one of four distinct universities within the University of Houston System. With an enrollment of over 14,000 students, UH-D is the second largest university in Houston, exceeded only by the University of Houston flagship campus located just 5 miles to the south. UH-D is also the most ethnically diverse university in Texas, and ranks among the top 40 schools in the nation for graduating African-American and Hispanic students with bachelor’s degrees. UH-D attracts talented students with 44 undergraduate majors, 8 master’s degree programs, and one of the lowest tuition rates of four-year universities in the state. For students interested in taking on an extra challenge, however, the University Honors Program is a good option. 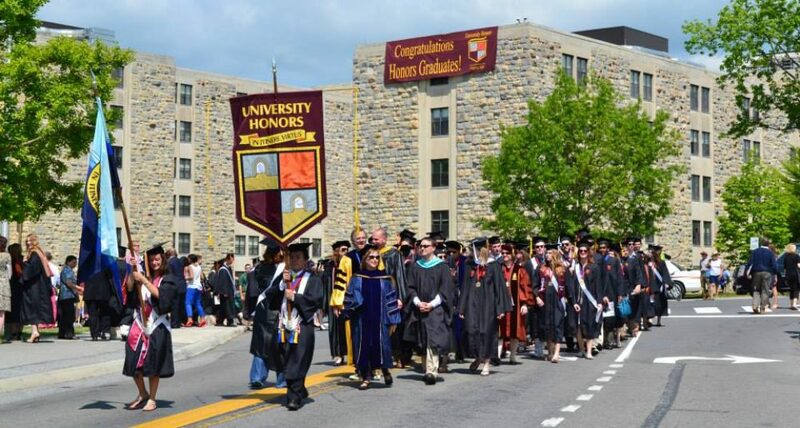 The University Honors Program admitted its first students in 2014. In the fall of 2016, approximately 30 incoming freshmen will join the 50 students currently enrolled in the program. The application includes a required essay, an optional personal statement, and space for a URL in case the applicant would like to submit a link to supplemental information, such as a portfolio or a YouTube video. Should a student’s high school record fall short of the criteria required for priority consideration, Dr. Nicholson-Preuss encourages him or her to apply by submitting, along with the application, a high school transcript as well as additional evidence of achievement. Once accepted into the University Honors Program, students commit to meet with both the director and a peer mentor each month, to attend one hour of weekly honors study hall each week, and to participate in at least 3 honors events each semester. Freshmen and sophomore students are expected to enroll in at least 30 credit hours per academic year, including 18 hours in Honors sections over the 2 years. In order to graduate from the University Honors Program, a student must maintain a 3.25 GPA and complete 30 hours of Honors credits. Program perks include an Honors Lounge, the peer mentor program, social events such as attending a Houston Astros baseball game, scholarship opportunities, special lectures, invitations to community events, priority course registration, smaller classes, and opportunities to represent the university in public. Honors students also have opportunities to take “linked courses”, and benefit from overlapping content or focus. The Honors Program is also developing additional thematically linked courses, focusing particularly on those that enhance UH-D’s commitment to service-based learning, community engagement, and social justice issues. This is an exciting time to be part of the new Honors community at UH-D, as it continues to develop additional Honors courses and innovative plans for the future. This entry was posted in Honors in Regional Colleges, Honors News, Types of Honors Programs and tagged Jane Mueller Fly, Mari L. Nicholson-Preuss, UH-Downtown Honors Program, University of Houston, University of Houston-Downtown by Honorsadmin. Bookmark the permalink.